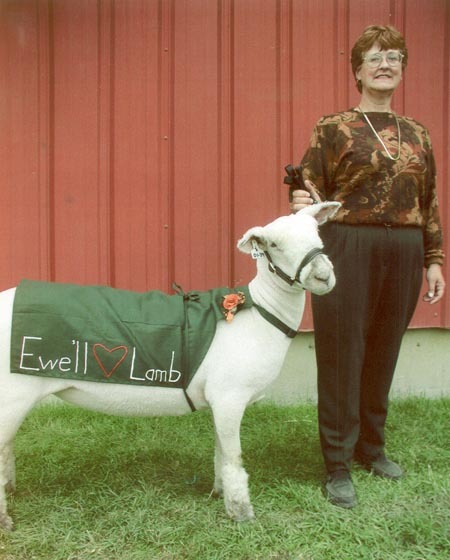 She stood at or near the top of the class all summer. 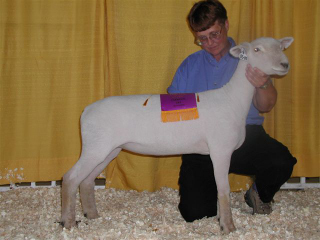 A Larry McGuire February ewe lamb we purchased at Sedalia this summer. 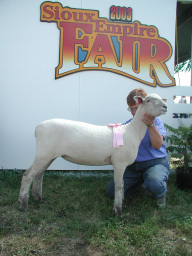 She was the tallest and longest February ewe lamb at every fair we showed at. 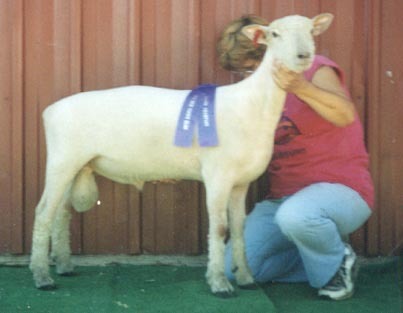 Showing her was a lot of fun. 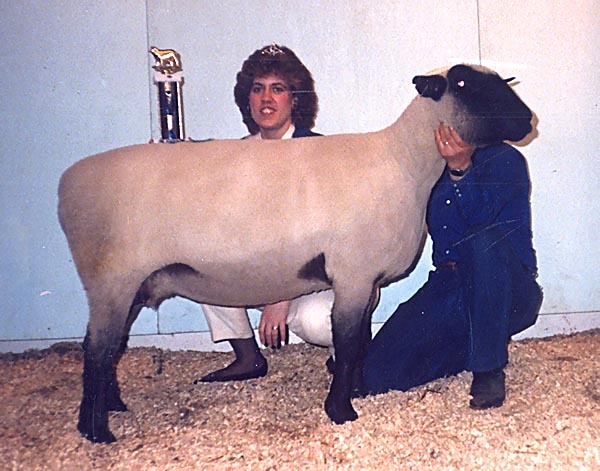 Many times she won and once she was dead last in class. 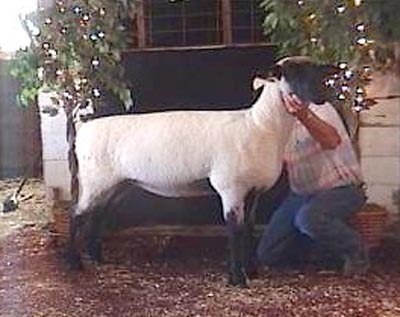 2004 Supreme Champion Ram - will lead show string this summer after breeding for fall lambs. 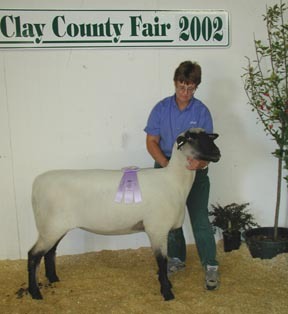 FB 23001 called "Third and One"
(a good thing in football) was our lead home raised January ram lamb at all 6 fairs we showed at. 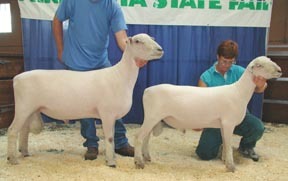 He was 35 inches tall at North Dakota State Fair in July. 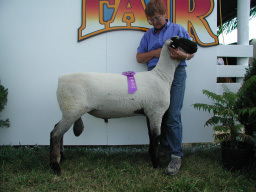 He stood in top 3 at every fair we were at. We are going to grow him out and see how big he will get. 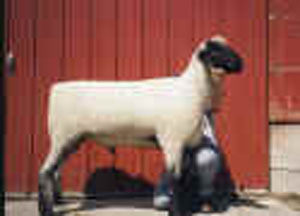 was Supreme Champion Hampshire Ram at the 1998 Corn Belt Sale. He is a son of Sonic. 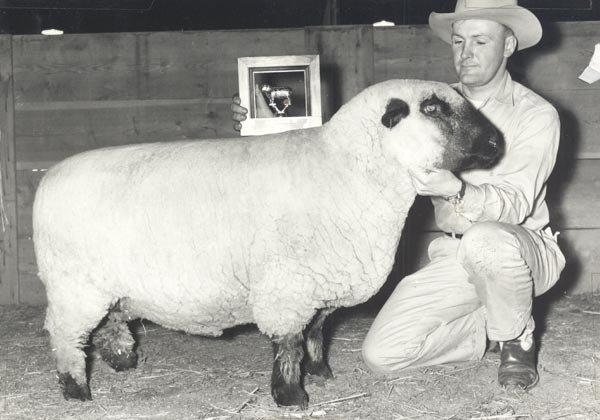 We have many, many daughters in our flock.